We can cut your mat to any size you require to the nearest 5mm. Maximum width of one piece is 200cm. Enter the size required and click ‘Calculate’ to obtain your price. Commercial quality coir mat cut to size. 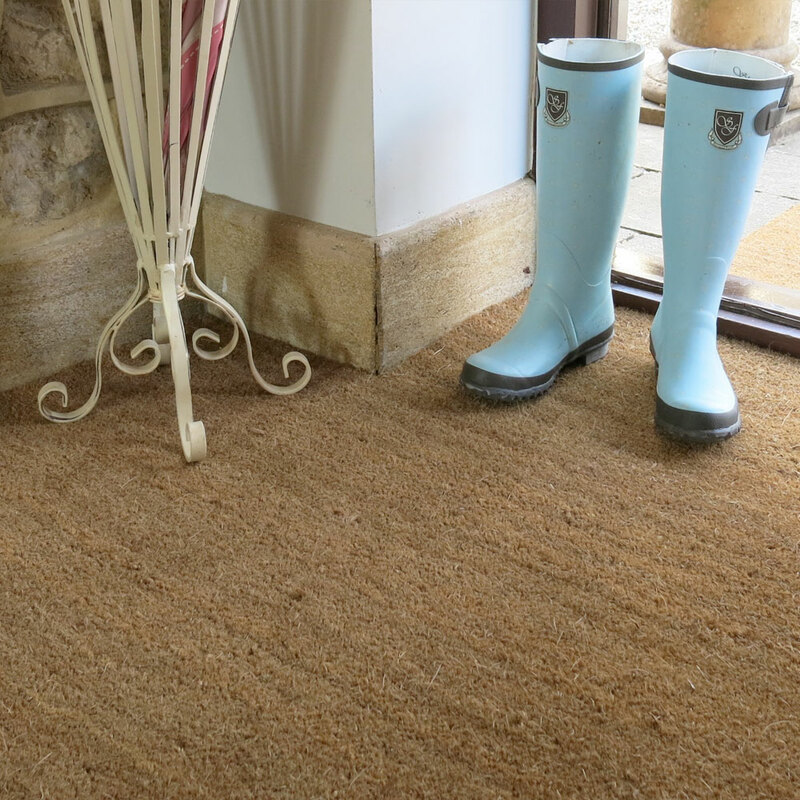 Our standard coconut entrance matting is highly durable and sustainable. Recommended Use: Entrance porches, Reception areas, Mat wells. Suitable for commercial or domestic use.